DWIGHT – The seventh-seeded Lady Crusaders (14-12) trailed 30-27 entering the fourth quarter, but rallied past the sixth-seeded Lady Trojans in the IHSA Class 1A Dwight Regional quarterfinals. Josie Eager led three Lady Crusaders in double figures with 13 points. Emma Thomas and Ellen Wheatland added 10 points apiece, and Maggie Hettel finished with nine points in the victory. 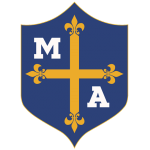 Marquette will play regional high seed No. 2 Wethersfield in the semifinals tonight. STERLING – Angelique Cowan had 12 points and Regan O’Fallon finished with eight points for the Lady Pirates (15-8, 5-5). UNDATED – Aaron Threadgill had 14 points for the Vikings. Luke Cushing contributed nine points. CRYSTAL LAKE – The Dolphins tallied 1,411 points to finish ahead of Belvidere (759) but behind the host Sage YMCA (6,999). Adam Swanson won three events for Ottawa. Lucas Farabaugh and Finley Jobst won one event each, while Evelyn Clayton and Gavin Crysler finished all of their events in personal-best times.